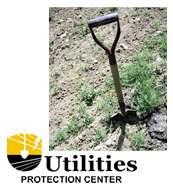 Coastal Electric Cooperative will assist members in locating underground electrical facilities if construction will take place near the marked facilities. Georgia law further requires that anyone performing any work within 10 feet of overhead high-voltage electric power lines notify the UPC during its regular business hours at least 72 hours, excluding weekends and holidays, prior to beginning such work. Notification allows the owner or operator of the power lines to take appropriate safety measures to prevent injury to persons and property and interruptions of utility service resulting from accidental or inadvertent contact with high-voltage electric lines.